Still amazingly youthful, and crimsom in colour, leading on to a fresh, rich and cassis laden nose. Medium-full bodied on the palate and still surprisingly tannic. Very ripe and complete with a long and powerful finish. Approachable now but would benefit from further keeping. Definitely one of the best wines of the vintage. 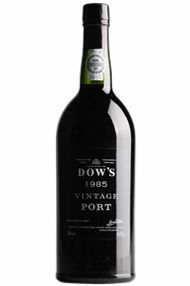 Dow was probably our favourite in 2007; we were lucky enough to have identified its sheer greatness from the outset and to have secured a healthy allocation before the extraordinary reviews started to appear. And at the risk of hubris, I venture to suggest that the 2011 is in the same league. 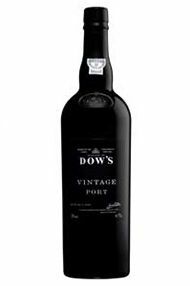 This is the archetypical ‘English’ Vintage Port, its personality capturing all that is complex and beguiling in our national psyche; therefore restrained and reticent on the one hand yet, with familiarity and a little patience, generous, rounded and wonderfully complicated. I suspect that this happy symmetry is down in part to the fact that the fruit is sourced half from Bomfim and half from Senhora da Ribeira, the former lending tannic structure and power, the latter silky complexity and body. Again the production is small, with only 5,000 cases made. The nose is reserved, dignified and informed by dark fruit, woodsmoke and hints of bay and fig. The palate is effortlessly contradictory; sweet yet dry, expressive yet reticent, grainy yet plush, in short all that a youthful Dow, Prime Minister material to be sure, should be, when setting off for the first day at Prep School. 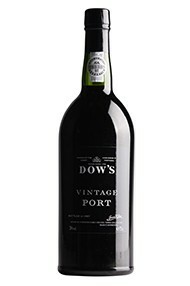 Dow’s slightly drier style, due to a briefly longer fermentation, makes it the most easily identifiable of all the Symington Family Estates’ fine range of Vintage Ports. 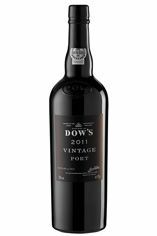 My tasting note for the 2011 opens with a reassuring ‘very Dow on the nose’ and the 2011 displays all the length, freshness, dried fruit, nutty finish of a classic deep, dry, dense, dark Dow. As someone coined the phrase (I imagine in the early 20th century, and most likely said across a large, candle-lit dining-room table post-dinner) “Lay down Dow and never sell Shell”. The 2011 is a wonderful wine, and one I would tip as being among the medals for the vintage. This is a keeper. Amazing purple in colour, the nose is balanced with integrated alcohol, amidst enticing aromas of ripe blackberry and damson, cloves, milk chocolate and a wild-violet perfume. 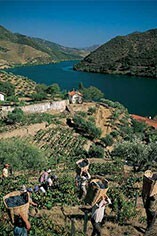 Seamlessly textured across the palate with silky, woven tannins, there is a fine balance between alcohol and acidity. The core is laced with red plums and cherries, while sweet spices and a touch of orange zest appear in the background. There is ample structure underneath, with a chalky freshness and remarkable purity providing plenty of elegance across the palate and on to the long, rewarding finish. A magnificent successor to the mighty 2011, sensational would sum it up! Forget about this for 10 years and start enjoying from 2028-60+.